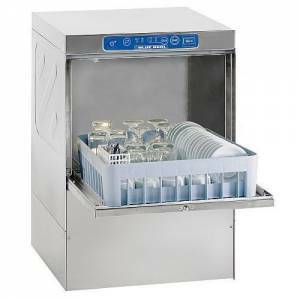 Blue Seal Glasswashers are stylish and robust. All models are WRAS and CE approved and feature accurate thermostats giving guaranteed wash and rinse temperatures. Double filters improved operation and reliability. Double skinned doors for strength and rigidity. Rinse aid, detergent and drain pumps as standard.